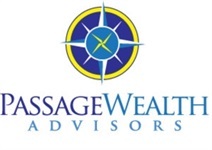 At Passage Wealth Advisors, LLC, we provide a wide range of diversified financial products. Through our affiliation with First Allied Securities, Inc. and other product sponsors, we offer you the objectivity of working with an independent financial consultant combined with the stability and strength to access the world's financial markets and a sophisticated array of investment resources. Below is a detailed list of financial product offerings plus a brief description of some of our customized services.